4. Fill out a registration form and a confirmation msg will appear. You can vote everyday (3x max per day)! This is the second time I asked a favor from you all. Done voting! :) Goodluck sis! You must win. Good luck. i voted for you! hope you win. =D i really like reading your blog entries. Will vote everyday for you my love! Voted! Good luck! Congrats in advance. Haha. Done voting Ms. Cheyser! 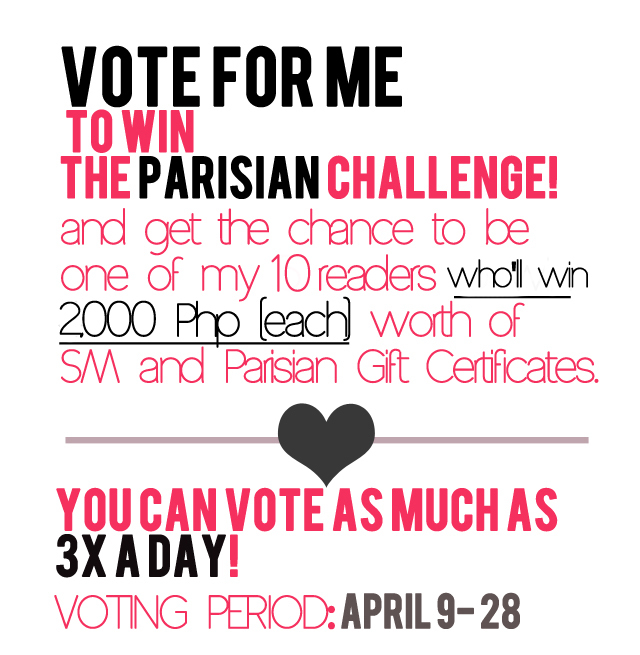 :) Hope to be one of the 10 lucky readers to win the GCs. :) Stay pretty.